Is there such a thing as British Americana? 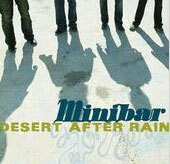 The U.K. quartet Minibar are certainly trying to establish themselves as such, claiming the quintessentially Yankee rock band Wilco as a primary inspiration, and hiring T-Bone Burnett--who has spent over two decades producing such rootsy Americans as Counting Crows and The Wallflowers, not to mention writing neo-folkie tunes of his own--to produce their debut album Road Movies. All of those machinations have had the desired effect, to an extent. The band's songs do, in fact, sound as though they emerged from the rolling Western plains of the U.S., rather than the narrow streets of their original home. Over the plaintive piano and slide guitar of "Choked Up," bandleader Simon Petty delivers a marvelously modulated melody in a raspy voice that sounds like a sober Paul Westerberg, circa 1989. "Lost in the Details" and the title cut are both absorbing ballads, marked by heartfelt lyrics and choruses that hover in the air like feathers under a ceiling fan. In track after track, the tunes cascade across pristine arrangements, draped in tastefully rough guitar leads and filigrees of acoustic instrumentation from harmonica to banjo. It's all very neat and nice--dusty, but a clean kind of dusty. That Minibar never quite knock out the listener the way that Wilco can is a function of Petty's remarkable talent, which ironically may have led to unnecessary restraint. When a musician can communicate his ideas clearly, he often doesn't overreach the way that a former punk like Jeff Tweedy does, trying desperately and thrillingly to connect. But agility can be impressive too, for those with the patience to appreciate its subtleties. Following Burnett's classy example, Petty and his lads in Minibar perform with an appealing confidence that only slightly undermines their meticulously written songs of yearning.